Best known for leading the landmark 1st Singapore Everest Expedition in 1998 (as well as the second in 2001). Partially disabled from a devastating rare nerve disorder since 1998, his comeback story of overcoming the odds made the cover of the Readers Digest magazine in 2001, and has since been translated into eight languages. 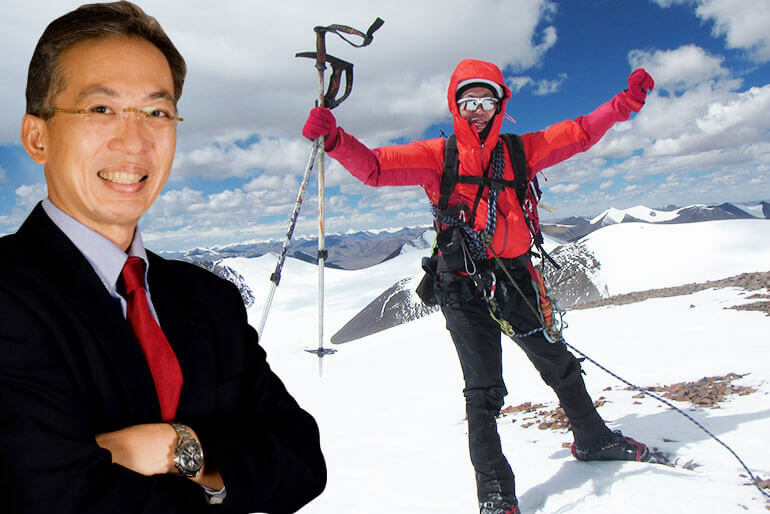 ​David Lim is best known for leading the landmark 1st Singapore Everest Expedition in 1998 (as well as the second in 2001). Partially disabled from a devastating rare nerve disorder since 1998, his comeback story of overcoming the odds made the cover of the Readers Digest magazine in 2001, and has since been translated into eight languages. He was in management at a publishing house for nearly a decade until 1998.